"I'm glad my mother gave me this recipe. 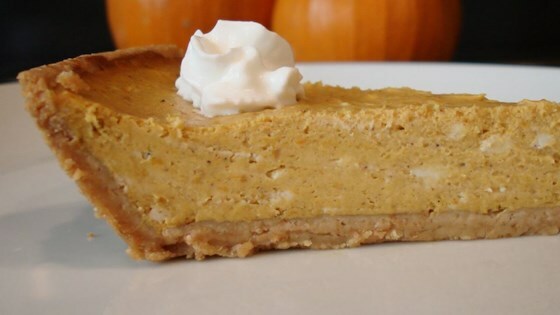 I think it's better than regular pumpkin pie, because it doesn't have a really strong pumpkin taste." Discover the simple trick to perfect, crack-free pumpkin cheesecake. Great recipe. The flavor and consistency were awesome, I will make this one again. Next time I will use two 6" pie crusts instead however, there is not enough filling for two 8". Thank you.